Known for its perfect beaches, low prices, and excellent scuba diving, Southeast Asia usually conjures up images of young globe-trotting backpackers and sultry nights spent at a beach bar. But this region is also a vast cultural melting pot…with something to appeal to everyone, these fabled lands of Southeast Asia still beckon with the promise and rewards of an exciting life overseas. Whether you’re looking for tall, arching waves for surfing, or tranquil, cool waters for paddling; deserted and peaceful sands for relaxing, or crowded shorelines for partying; Southeast Asia has a beach for you—and they come in every shade of sand imaginable. To help you find your perfect Southeast Asian beach destination, we have compiled some of what we think are the region’s best beach towns and cities. Not only do these destinations offer breathtaking coastlines, but they also come with an affordable cost of living. Click on the map below to start learning what Southeast Asia has to offer, and find the beach that’s right for you… Pick any one and you’ll be living a superior lifestyle—and for much less than you ever did at home. One of the most exotic and diverse places on earth, Thailand is a country whose ethos seems to be combining pleasure with harmony. And whether you’re thinking of investing in a permanent home, a holiday home, or if you just want to enjoy an amazing break, it offers both value for money and a more-than-civilized lifestyle. International Living Thailand Correspondent Steve LePoidevin reports that a monthly sum of between $1,800 and $2,300 would be a realistic budget for a retired couple living in various parts of the country and dining on a mixture of local and international foods. Low cost, warm, friendly—Thailand has it all. But if you have a spirit of adventure, its appeal becomes enormous. In recent years, a number of low-cost airlines have set up operations, making all parts of this fascinating country easy to explore without breaking the bank. If you have thought about moving overseas and had Thailand as one of your possible destinations, now is a good time to check it out in more detail. Once a quiet fishing village, Hua Hin became a popular summer getaway destination for Thais in the 1920s, when the Royal Family built their summer palaces there. Located on the eastern coast of the country and the shores of the Gulf of Thailand, it has year-round temperatures in the mid-80s F, making it a perfect beach getaway. The city itself runs parallel to the beach, with fancy hotels and seafood restaurants lining it. The restaurant scene has benefitted from Hua Hin’s international expats. Along the waterfront is a web of restaurants serving everything from fresh, right-off-the-boat seafood, to Indian and Greek food, and it’s easy to find a delicious dinner and a beer for about $10. Peppered in between the great restaurants are tons of bars and lounges, some with live music nightly. But even though this is a resort town, Hua Hin doesn’t have the same level of hustle and bustle that you might usually see in other tourist hotspots. Its population is only about 85,000, so it’s laidback enough to feel like a beach town, but still has all the modern conveniences of any Western city. 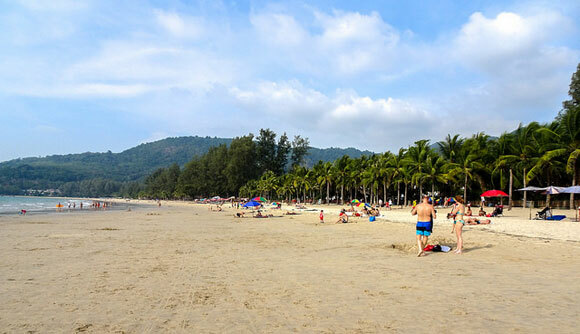 Many of the Thai holidaymakers will only visit Hua Hin at the weekends, meaning that the beach is practically empty throughout the week. And there’s more than just a great beach. Hua Hin is an artsy town. The nightly Cicada Market is a fun event for locally made crafts, as well as a place to get a drink and cheap eats. There is also an artist village, which is a co-op for local artists, with a coffee shop, a stage for live music, and classes for anyone wanting to learn new skills. Just walking through the maze of studios and seeing everything from antiques to glass blowing is awe inspiring. Some of these artists are well known throughout Thailand and display in galleries in Bangkok. It’s a great place to look when you want to furnish your new home and also to get involved with the local scene. Famous for dense mangrove forests, sheer limestone cliffs and hundreds of amazing islands that appear as if dropped into the ocean from somewhere else, Krabi, on the southern part of Thailand’s west coast across from the island of Phuket, is where many movies were filmed—think James Bond’s, Man with the Golden Gun and Leonardo DiCaprio’s, The Beach. No matter which way you arrive in Krabi—by car, boat, or plane—you will simply be in awe of the natural beauty surrounding you. It’s a place unlike any other, with its limestone karsts (some of the locals say coral) jutting straight out of the turquoise blue ocean. In some ways, it feels otherworldly, as if these karsts came out of nowhere. They are everywhere, in the middle of the ocean and the center of town; they are massive and often have trees growing right out of the tops of them. 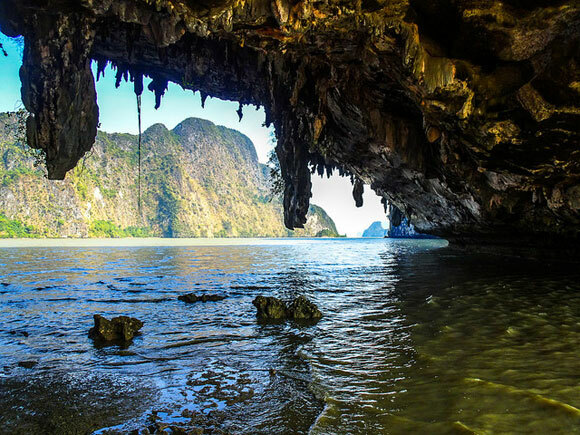 Krabi is an adventure lover’s dream. You can rock climb on any number of the karsts, scuba, snorkel, island hop, go spelunking, or visit temples and hot springs. The nightlife is spread out from the main beach road, where there are restaurants of every price and cuisine. Or go to the night market, right along the main road, where you can get fresh whole fish, shrimp, or Thai BBQ chicken, grilled for a few bucks. Some of the best and most authentic (not to mention the cheapest) Thai food you can get is usually in the markets. On the loveliness scale, Samui is flawless. Highrise development is almost absent. From Big Buddha Beach to Chaweng Beach’s four miles of perfection, Samui’s silver sands are its major draw. The sea is warm and mostly crystal-clear, with lots of opportunities for kayaking, sailing, and boating. Samui is one of an archipelago of 80 smaller islands—those of Ang Thong National Marine Park are prime locations for scuba diving and snorkeling. If relaxation tops your priority list, it’s hard finding fault with it. Away from the beaches, the forested interior offers treks on foot or by elephant to waterfalls and natural rock swimming pools curtained with emerald ferns. Santiburi Samui Country Club is currently the only 18-hole golf course in Koh Samui and has earned its nickname as the “Beast of Samui.” The expat population here is thriving; you’ll never be short of a chance to meet like-minded people. And with everything going for Koh Samui, there is no surprise so many people chose this beautiful island as their place to live. To learn more about retiring in Thailand, click here. Vietnam is a young and energetic country that has a lot to offer. Expats enjoy a high quality of life at almost unbelievably low prices. Cell phone and internet coverage is excellent and extremely affordable. Rents can vary considerably, but even a five-star luxury lifestyle will cost far less than you might expect. Vietnam is a long country that stretches from China in the north to the Gulf of Thailand in the south. Beach lovers will enjoy exploring more than 2,000 miles of coastline. It is also a mountainous country, with many stunning waterfalls, mighty rivers, extensive cave systems, mysterious karst towers, verdant terraced rice paddies, and spectacular scenery. The Vietnamese people provide the most compelling reason to live in Vietnam. They are hard-working and determined, but above all, they are unfailingly polite and welcoming. Earnest and curious, they will often approach foreigners in the hopes of practicing their English skills or learning about the outside world. It is not difficult to integrate into the Vietnamese culture, as these interactions seem to have a way of turning into lifelong friendships. With a growing economy and a low cost of living that, according to International Living Vietnam Correspondent Wendy Justice, means “a couple can enjoy a comfortable, middle-class lifestyle for less than $1,100 per month,” there has never been a better time to come to Vietnam. Da Nang is the largest city along Vietnam’s central coast and it’s also Vietnam’s most progressive city. It is a modern and dynamic destination that has set its sights on becoming the “Singapore of Vietnam.” The growing skyline includes a new city administration building that bears close resemblance to London’s futuristic bullet building, and the entire downtown has a decidedly cosmopolitan flair. Surprisingly, given its population of about a million, there is little hustle and bustle in Da Nang. There are, however, lovely parks, riverside promenades, and a long, uncrowded, powdery sand beach. Da Nang residents are relaxed and social. It might be the easiest place to meet people and make new friends in all of Vietnam. And the cost of living is low. International Living Vietnam Correspondent Wendy Justice reports that a couple can live here for between $1,200 and $1,500 a month. 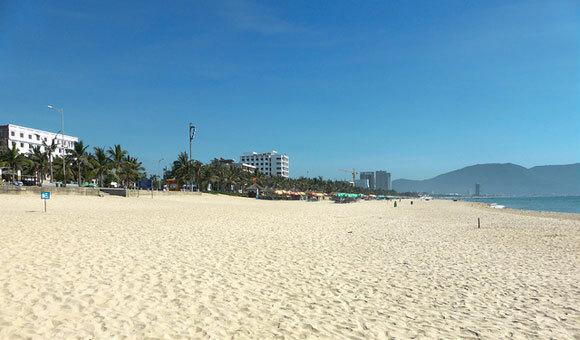 Of course, one of the main attractions of Da Nang is its beach laden coastline, the most desirable part of which being China Beach. 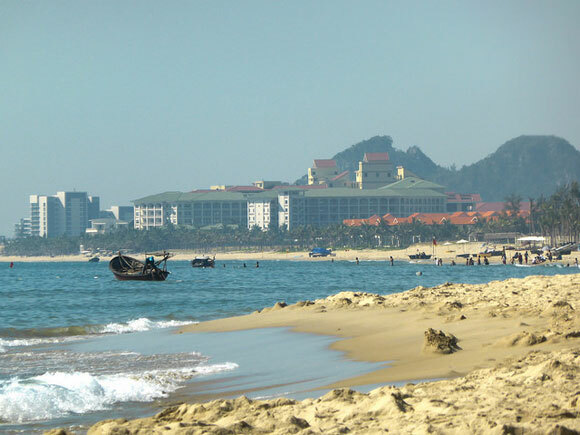 China Beach is widely considered to be the most beautiful in Vietnam. Several beaches are strung along the coast for 19 miles with My Khe (China Beach) being the longest and most beautiful of them all. In 2013, Forbes Magazine voted it as one of the world’s six most attractive beaches. Hoi An is a town oozing with charm and history. Once a sleepy riverside village, it’s now a tourist town, with hotels, restaurants, bars, tailors, and souvenir shops dominating the old center. Despite all of this, Hoi An’s charisma prevails. Now a UNESCO World Heritage site, the old town core has immaculately preserved architecture from its time as an important port, from the 15th to 19th centuries. Tourists flock to see the honey-colored, timber-framed buildings, and to pick out the Japanese, Chinese, and European influences. They also come to have couture clothing and shoes made for a fraction of the price it would cost to buy them back home. But the old town is not where the slow trickle of expats has settled. 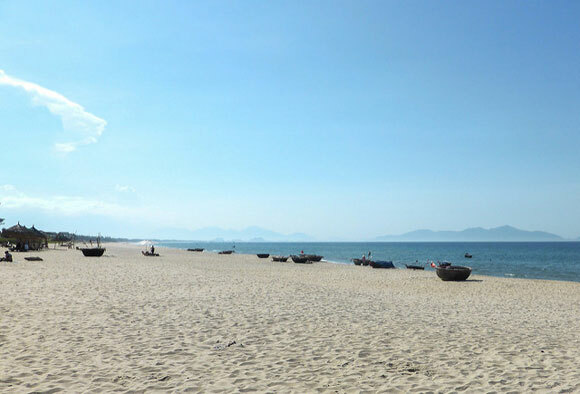 Rather, the 300 or so foreigners living here are in neighborhoods close to Hoi An’s long stretch of breathtaking beach, where 18 miles of brilliant, golden sands fringe warm, tropical waters. About 12 miles out are eight small islands, which form a biosphere reserve where you can dive on coral reefs and explore the ruins of an ancient civilization. For about $4 (depending on your negotiating skills) you can sit in a lounger on this beach all day and have someone bring you as many cold beers or drinks as you’d like. And, if you felt like making it a regular activity, the cost of doing so is low. In fact, International Living Editorial Director Eoin Bassett says that a couple can live well on $910 or less a month, including rent and eating out daily. Nha Trang lies on southeastern Vietnam’s Nha Trang Bay, about 275 miles northeast of Ho Chi Minh City. It’s a popular Vietnamese vacation destination, with more than four miles of beaches. And it’s home to 400,000 people, including hundreds of expats. 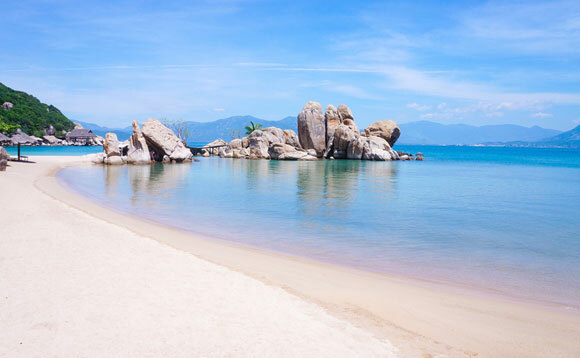 The city has a tropical climate, with high temperatures ranging from 82 F to 91 F and lows in the high 60s F.
Best of all, Nha Trang has a long dry season, which runs from January to August. It experiences its heaviest rainfall in October and November. Mountains surround three sides of the city, and a large island just off the coast shelters Nha Trang during heavy storms. To learn more about retiring to Vietnam, click here. Malaysia has great infrastructure and foreigners are allowed to own properties freehold. It also has no inheritance tax, and places no tax on income repatriated from overseas. When you sprinkle the stunning beaches the country has to offer into the mix, and then throw in unbeatable healthcare at super low prices, you have a country like no other in Southeast Asia. The fact that most Malaysians also speak English is the icing on the cake. George Town is Penang’s capital. A UNESCO World Heritage Site since 2008, it’s one of Southeast Asia’s most likable cities. Blending old and new, modern high-rises encircle streets packed with mansions, shop-houses and Chinese clan houses. A firm favorite outdoor pursuit is a BBQ on Monkey Beach. You can hike in and bring your own picnic or go in style with Captain Heng. For about $25 per person, Captain Heng can pick you up on his boat and motor you over there. He packs a huge feast to grill, so all you have to do is laze about on a tropical beach and be pampered. The capital of the state of Sabah, located on the island of Borneo, Kota Kinabalu is a growing resort destination due to its proximity to tropical islands, lush rainforests and Mount Kinabalu, and its amazing array of fauna and flora. Kota Kinabalu overlooks the South China Sea, on a narrow flatland bordered by the Crocker Range, which is host to Mount Kinabalu. The town itself is concentrated along the coast towards the north and south of the city. A 15-minute boat ride takes you out to Sapi island where you can spend the day snorkeling or just laze on the beach. Gaya is the biggest island and offers trekking and white-sands. It’s only 10 minutes away from the city and boats for both islands leave from Jesselton Ferry Terminal right beside the Suria mall. 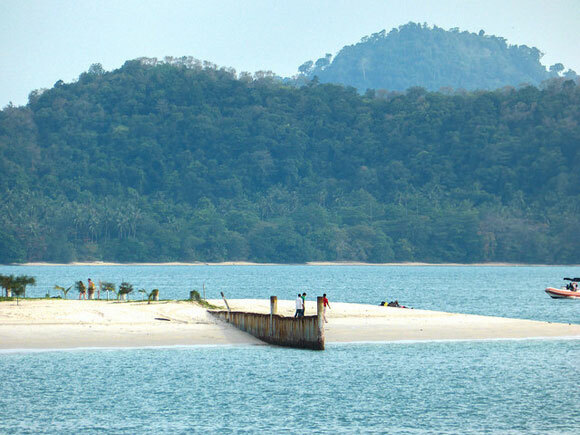 The most famous beach is the quarter-of-a-mile stretch of brilliant white sand fringing Police Bay on Gaya. For many visitors, Malaysia’s most beautiful island is Pulau Langkawi (pulau translates as island). The largest island in an archipelago of 99 islands—104 at low tide—Langkawi is an extraordinarily gorgeous hideaway in the Straits of Malacca, near the border of Thailand. 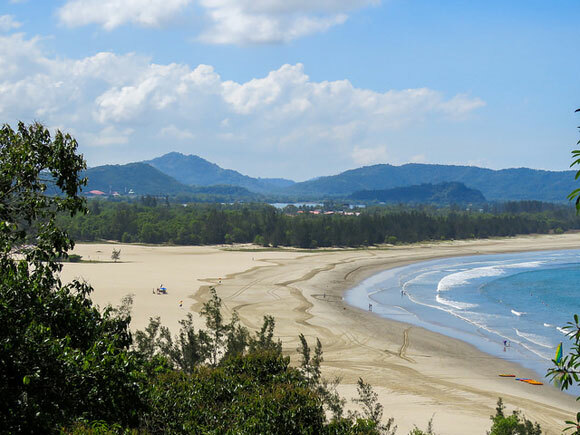 Its north-coast beaches are among Asia’s best. Sprinkled with tiny exotic seashells, the sands really are talcum-powder white. On the horizon, jungle-clad limestone formations look like a scroll painting. Your eyes are constantly drawn to the bobbing little boats of anchovy fishermen and sea eagles riding the ocean thermals. 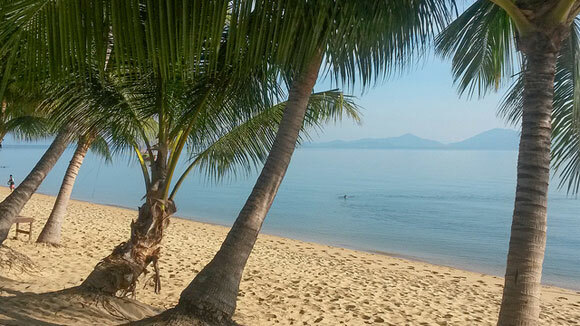 Langkawi is home to some of the best, and quietest beaches in Malaysia. Cenang Beach is located on the west coast of Langkawi and is undoubtedly the most popular beach on the island. This long stretch of beautiful white sand offers great views of the western islands just off Langkawi. 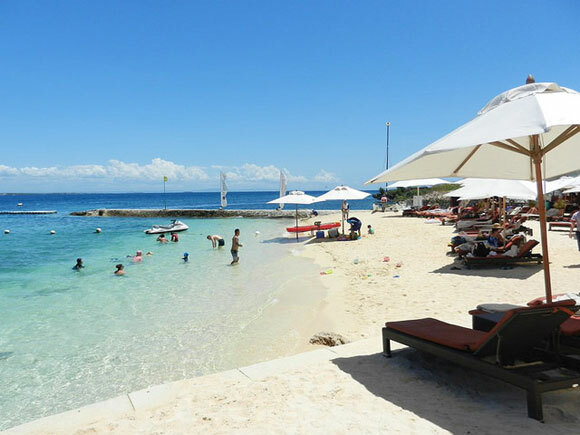 It’s a lovely family beach with lots of water sport activities, beach bars, and rows of shops, eateries, and spas. Tengkorak Beach is a beautiful little beach on the north shore of the island. Secluded during the week, it can be accessed through parkland, with forested trees offering lots of shade. It’s a favorite with locals for picnics at weekends as it has all the facilities that you need, including picnic tables, changing huts, shower rooms, and toilets. Legend has it that a hailstorm overturned and wrecked ships that passed the Malacca Strait. The skulls of the dead were washed ashore and hence it is also known as Sandy Skulls Beach. To learn more about retiring in Malaysia, click here. Sign up for our FREE report on the World’s Top 10 Retirement Havens. When imagining the Philippines, picturesque, crystal-blue waters with white sand beaches are what usually comes to mind. And rightfully so. The Philippines are made up of 7,107 tropical islands and many of them are exactly as you imagine. 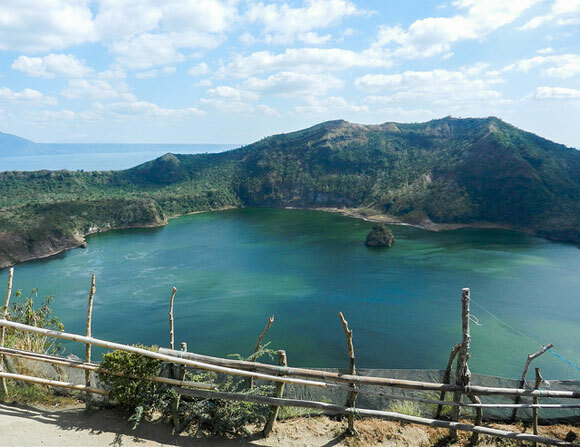 That picture-perfect postcard…that image of water so clear it hardly seems real…that is the Philippines. But so too are the massive skyscraper filled cities that have all the amenities of any downtown district in the world. The Philippines can be whatever you want them to be. 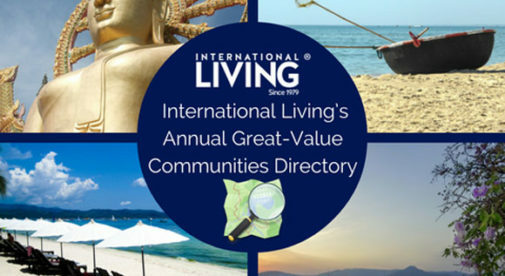 Whatever your dream lifestyle, it can be found here. Not only do you have your pick of islands to explore, but you also have your choice of climates as well. The majority of the islands have tropical, hot, and humid weather. But if that isn’t for you, there are mountain towns with cooler temperatures and less humidity. Even the locals, who are used to the heat, flock to these spots to cool off whenever possible. And all of this comes at an undeniable low cost of living—from as little as$1,035 a month. If you spent one day on each of the 7,107 islands, it would still take you 20 years to visit them all, which may not be possible, but wouldn’t it be fun trying? This won’t be a rocking chair retirement unless you want it to be. With so much variety to choose from, it’s easy to understand why so many expats call the Philippines their home. 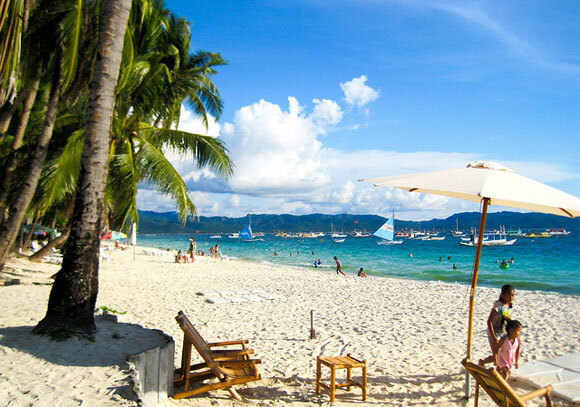 A 50-minute flight from the capital, Manila, the Philippine island of Boracay is a place of in-your-face beauty. There’s no waiting to get to the beach to see if the stories are true. The minute you step off the plane, you can see that the postcards don’t do it justice. The sands are as white as they say, if not whiter…a pearly glitter that stays cool under your feet. The beach is about two-and-a-half miles long, but the locals have divided it into thirds, with sections referred to as Boat Stations. If you enjoy diving, there are more than 30 dive sites less than an hour’s boat ride from Boracay. If you’re into adventure, go kite boarding or wind surfing on Boracay’s Bulabog Beach. Or just spend the day relaxing with a massage from one of the many parlors and spas (from about $7 at the beachside stations). There’s also zip-lining, golfing, jungle trekking, and fishing. Living here is affordable—for instance, you can get a full-time maid for under $100 a month, and you can rent a two-bedroom apartment for about $700 a month…solid construction, WiFi connection, and gleaming new tiles and finishes. A perfect day might start early with a walk along the beach. It is usually quite empty apart from a few joggers. After breakfast, and maybe a quick dip, it’s time to get inside, away from the afternoon sun—midday is a good time to pull out the laptop and get some work done or just reconnect with family and friends. For lunch take your pick of home-style Filipino eateries, where two can eat for less than $3. Finally, end the day by watching a fantastic sunset on White Beach. Order a $3 cocktail and enjoy the show…it’s an evening ritual for many residents. Cebu has everything you’d expect from a big city anywhere in the world. Shopping, nightlife, international restaurants, and—as an added bonus—the beach is only 30 minutes’ drive away. There are also movie theaters playing English language films and golf courses where you can play a round for as little as $9.50. As you drive into the city from nearby Mactan Airport, it’s surprising what appears—glass and steel high-rises pierce the blue sky as far as the eye can see. The streets are peppered with colorful murals, big fancy cars shimmer in the afternoon sun, shopping centers and restaurants pass by in a blur. This could be any big city in America…but there’s a lot more bang for your buck to be had in Cebu. But, even though Cebu may be a big city, it hasn’t fallen victim to the usual big city prices that you might find in the U.S. International Living Editorial Director Eoin Bassett reports that there are expats living here on anything between $520 and $1,035. A family home, spread out over three floors, with five bedrooms and over 5,500 square feet, will cost you $775 a month. And, if you’re looking for something smaller, you can find rentals for as low as $175. A maid will cost you between $55 and $90 a month, depending whether they are part-time or live-in. Also, if you decide to live outside the city, don’t fret; public transportation, especially tricycles, jeepneys, and buses, is super cheap at about 20 cents to 75 cents per person. Cebu City is the perfect place to retire on a budget and still enjoy life’s luxuries. Dumaguete lies in the southwest corner of the island of Negros Oriental, right in the heart of the Philippines archipelago. The ocean-side city has a population of about 120,000 locals and 8,000 expats. Negros Oriental is a tropical island, so the weather is always hot and humid (expect summer highs in the low 90s F). The expat community is welcoming and happy to show you the ropes. You’ll meet them in any of the numerous bars and restaurants along Rizal Boulevard, an oceanfront, tree-lined promenade that looks as though it belongs in a small Spanish town. The airport is only about 15 minutes from the downtown area, making it easy to hop on a plane to explore the neighboring islands. The north of Dumaguete is home to a long stretch of sand, where you can rent cabins on stilts for $83 a night. The waters surrounding the area are also the perfect place to spot exotic marine life, such as jellyfish, lionfish, and urchins. 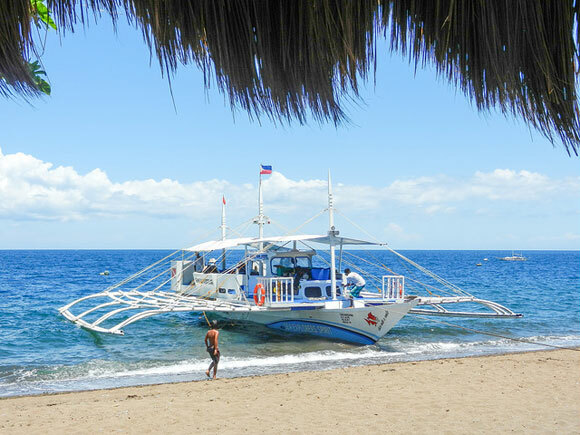 Expats living in Dumaguete take full advantage of the hot weather and low cost of living. According to International Living Correspondent Kirsten Raccuia, expats here report having a “comfortable life on their $1,500-a-month budget.” Rentals range from about $130 to $330, While a cheap, yet delicious and filling, meal can be found for $1.50. To learn more about retiring in the Philippines, click here. The Kingdom of Cambodia has a long-held allure to Western visitors, the foundations of which are grounded in Cambodia’s eventful past. Much of the country’s history is still present today, through its many colonial cities, or even older Angkorian temples—like the famous Angkor Wat and Preah Vihear—which are scattered throughout the country’s 25 provinces. Moving to Cambodia is not a complete departure from the Western world either. Even though the country wears its heritage on its sleeve, you can still find all the regular home comforts, such as imported food and drink, cinemas showing Hollywood blockbusters, and restaurants to whet any appetite or craving. So if you are looking for a retirement destination that allows you to step back in time, while still holding on to modern comforts, then maybe Cambodia is the perfect place for you. 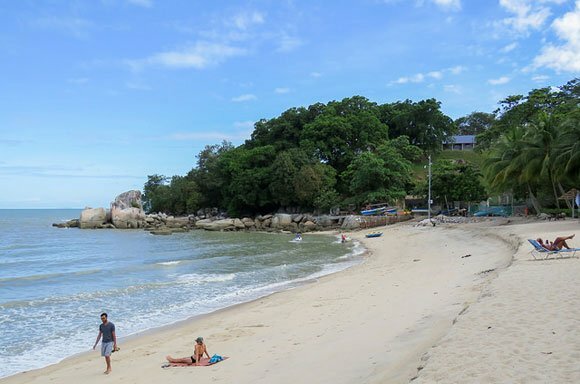 After Siem Reap and Phnom Penh, foreign tourists and expats, as well as Cambodians, come to relax and enjoy the ocean breeze at Sihanoukville, Cambodia’s most popular coastal resort. 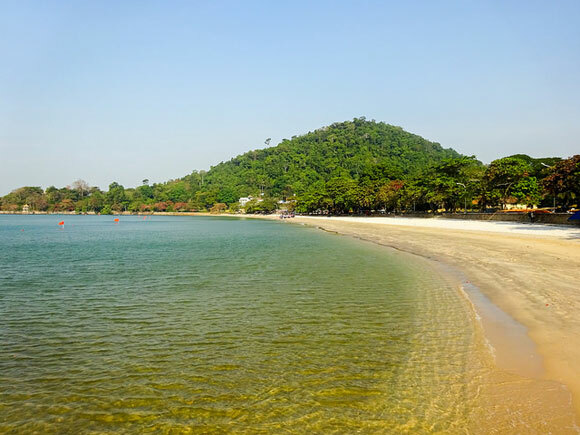 This is a city that attracts all kinds of tourists, but luckily there are enough beaches to go around, with each of Sihanoukville’s different beaches drawing their own crowds. Cambodians flock en-masse to Ochheuteal Beach during local public holidays like Khmer New Year. They enjoy picnics of squid and crabs in large groups before going swimming fully clothed (swimming costumes have yet to fully catch on here). Well-to-do expats and tourists often book at either Independence Beach Hotel or Sokha Beach Resort, which are the highest rated hotels in Sihanoukville. Each has their own private and very well-groomed beaches exclusively for their guests to enjoy without being hassled by beach vendors. 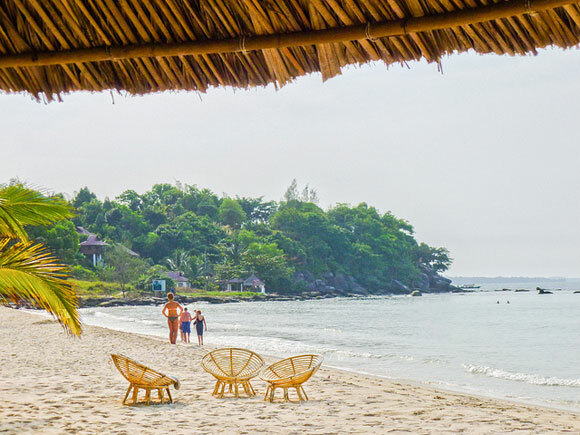 For many local expats and those who like to visit Sihanoukville for long weekends, Otres Beach is the best option for relaxation and a relaxed environment. Located about 10 minutes from Ochheuteal Beach, it is quite remote and you have to pass the Queen’s Hill rocky outcrop before you reach the pristine white sand of Otres Beach. Between 2,500 to 5,000 expats live in Sihanoukville on a full time basis, with that number increasing during high season. And those expats are living the high life here on a low budget. From speaking to expats in Sihanoukville, International Living Managing Editor Conor O’Brien reports that most live comfortably on a budget of around $1,250 to $1,500 a month, including rent for an air-conditioned, one-bedroom apartment at $250 a month. 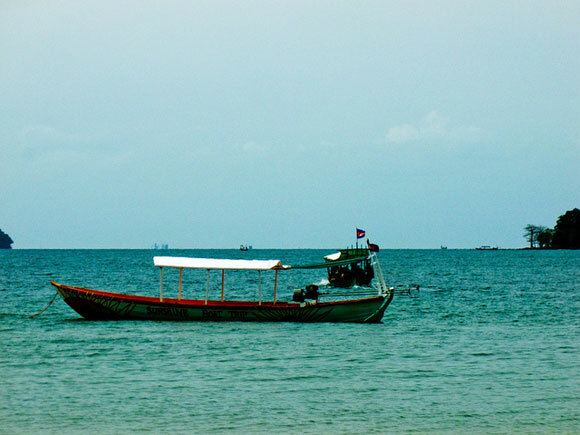 With a current population of just over 40,000 people, Kep is one of Cambodia’s smallest provinces. Established by the French as Kep-Sur-Mer in 1908 as a coastal retreat to escape the hot season, Kep became known as the “Saint Tropez of Southeast Asia” for its similarities to the seaside resorts of France. Villas were built and maintained until the 1970s with King Sihanouk having his own summer villa there. But these all fell into disrepair as the Vietnam War and Civil War overran the province for 30 years. The faded colonial villas now provide a backdrop to a re-emerging coastal resort. A number of boutique resorts operate in restored villas, such as the Knai Bang Chatt and the Kep Lodge. The lavish colonial governor’s residence has also been renovated and opened as a local museum. 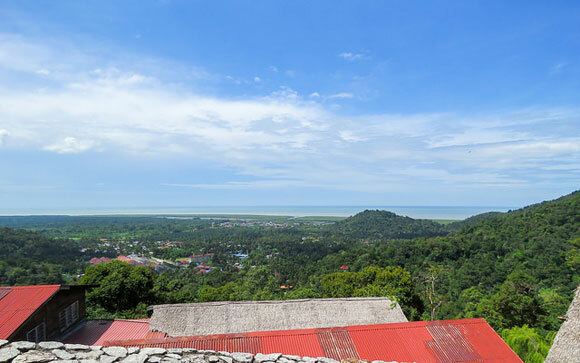 Nowadays, Kep is an attractive coastal holiday option for expats. It’s far more relaxed than the busier beaches and city of Sihanoukville. Its popularity has steadily increased over the past five to 10 years, and rentals can easily be found here for as low as $170 a month. 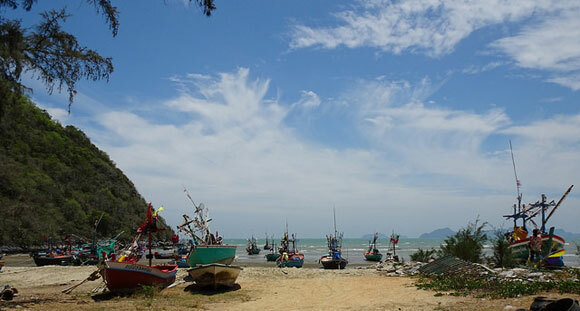 Aside from Kep’s beach, its main draw is the Kep crab market. Here you can eat crabs fresh from the sea at one of the many wooden shack restaurants perched above the ocean on a stilted waterfront pier. The market attracts locals and expats of all nationalities who enjoy Kep crab cooked in delicious Kampot pepper sauce. To learn more about retiring in Cambodia, click here. The mere mention of Bali evokes thoughts of paradise, but it’s more than just a place. There is a spiritual energy surrounding the island that you feel as soon as you step off the plane at Denpasar International Airport, and your mood immediately changes. You relax, you sigh, and you know that you are in a good place. You’ll notice offerings to gods everywhere, and temple processions, where you’ll witness groups of elegantly dressed people walking by, bearing what appears to be skyscrapers of food balanced on their head. Traffic comes to a halt, and then they disappear, just as quickly as they appeared. And for less-spiritual seekers, this steamy Indonesian island also has wonderful surfing and diving, great resorts, and a nightlife that has become famous across Southeast Asia. The Rock Bar, Ku De Ta, and Potato Head Beach Club are three of the best beach clubs in Asia, and are now synonymous with the essence of Bali. Bali is the rock star of the 18,307 islands that make up Indonesia, and looks set to retain its title as the most popular island in the region for years to come. Sanur is a perfect little beach town that is big enough to keep you entertained but small enough to ride a bicycle from end to end. It has a reputation for being a tourist area, but despite that it still has its original Balinese feel. There is a paved boardwalk that runs for about three miles along the beachfront which is perfect for strolling, bike riding or jogging, and is lined with dozens of top-notch restaurants serving everything from today’s freshest catch to delicious Asian fusion food. There is plenty of nightlife and live music bars peppered throughout the city. The beaches here are calm and bath like. It is less probable to see a surfer and more likely to see a fishing boat heading out for its morning run. Sanur is a great place to scuba and snorkel as there are numerous reefs nearby, and the because waters are calm, it’s an ideal location to learn paddle boarding too. There is also a Turtle Conservation and Education Center that serves as a hatchery, sanctuary and rescue for those caught in the fishing nets. 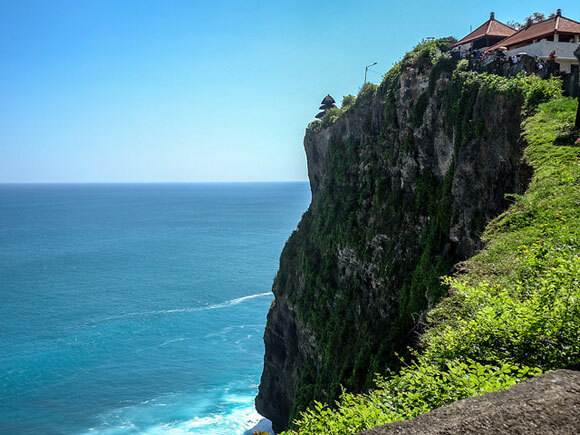 Uluwatu is a surfer’s paradise, with sheer-faced cliffs giving way to the surging waves of the cobalt blue ocean. For big wave riders there are plenty of choices when it comes to beaches; Suluban, Dreamland, and Impossibles. Some of these beaches have long narrow pathways to climb through before you hit the beautiful light sands. Sometimes you have to climb hundreds of steps, while others require you to shimmy through a cave before paddling out between cliffs. But while these hidden secret beaches, like Nyang Nyang and Bingin, take a little work to find, they are worth the effort. Once there, you’ll be able to enjoy calm waters for floating and swimming, and be surrounded by breath-taking panoramas. Besides the beaches, there are dozens of fantastic restaurants throughout Uluwatu and its neighboring villages. It is mainly overlooked by tourists, meaning crowds are minimal and it’s easy to get around by scooter. Uluwatu’s miniscule size means that there is no distinct town center; there is only one main road that runs through the area. Rent a scooter for $5 a day and explore the area. Turn off the main road and you’ll find plenty of hidden gems. 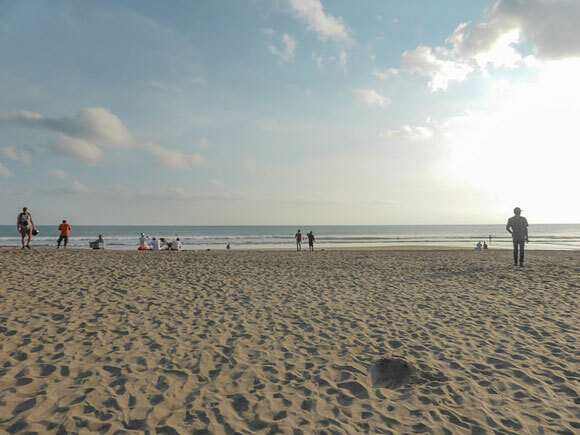 If shopping, nightlife, and beaches sound like a perfect trio, then Seminyak is the answer to your prayers. Each street is packed with boutiques offering everything from Balinese handicrafts to locally made clothing and jewelry. Boutique after boutique of quality and unique items, it’s almost dizzying. These aren’t beach stalls hawking elephant pants and sarongs, it’s high-end wares. Housewares and traditional Balinese masks are side by side with bikini and flip flop shops, you name it, it’s there. 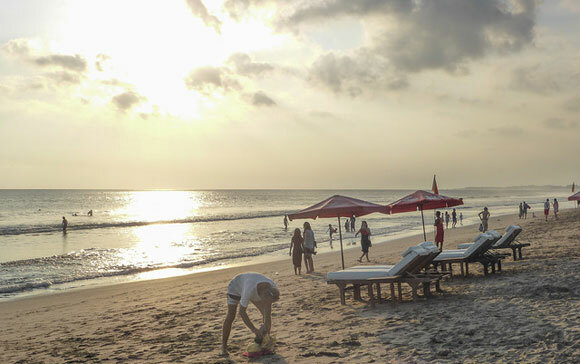 But Seminyak is not just about shopping; the beaches are a perfect place to lounge and get your sun on. They are wide and stretch for miles; the sand is fine, and light tan in color, and the ocean is shallow and calm. This is a great place for swimming and just floating away last night’s cocktails. It is also a fabulous international food destination, so after working up an appetite from all the shopping or a day at the beach, you can indulge in any type of cuisine you desire. At sunset, it’s where the party starts. Throngs of people—locals, expats, and tourists—flock to the beach for sunset. Lay a blanket down in the sand for a picnic or hit up one of the swanky bars to sit in a bean bag and have a sundowner. Continue the evening at Potato Head or Ku De Ta for a great meal and good DJs nightly. To learn more about retiring in Bali, click here.